Driving down the interstate you may see flatbed trailers with loads covered by black and silver tarps. Then go to your typical RV park and you are likely to see tarps of other colors including blue, green, and orange. So perhaps you’re wondering if the colors mean anything. It turns out they do. Knowing exactly what kind of tarp you are after tells you what color to choose when you are shopping. For the record, the grading system used by tarp manufacturers is a voluntary system that not all adhere to. What you read below about tarps and their colors are general rules that may not apply in the case of a manufacturer that decides to develop and use its own grading system. There are lots of different tarps you can buy for various purposes. For example, truck drivers will specifically invest in heavy duty truck tarps designed to cover everything from lumber to steel coil. Truck tarps are among the most durable on the market. They are typically made of vinyl, polyethylene, or canvas. 1. 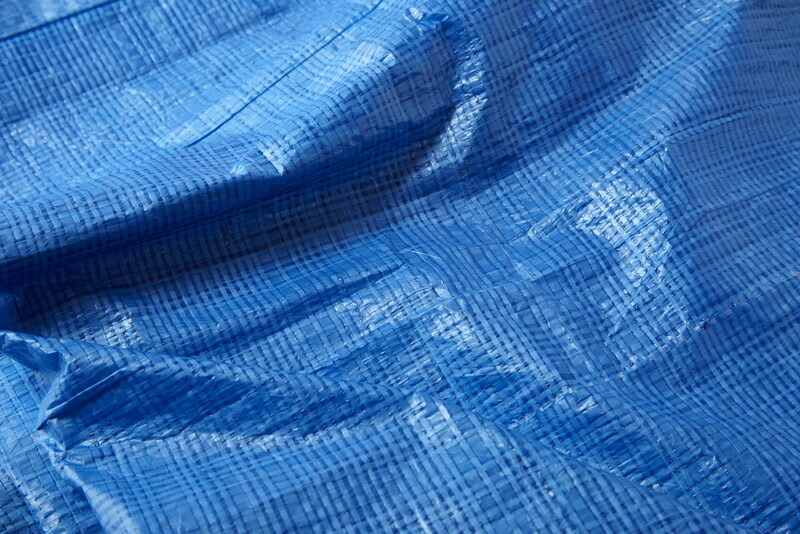 Blue – This is the lightest duty tarp on the market. It is approximately 0.14 mm thick. 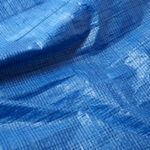 Blue tarps are generally considered all-purpose tarps for household use and some industrial/manufacturing environments. 2. Yellow/Orange – Tarps colored yellow or orange are graded as medium duty tarps with a thickness of about 0.19 mm. It is not uncommon to see these tarps used in construction, light industrial, and agricultural operations. 3. Green – Green tarps are also medium duty; they are approximately 0.24 mm thick. They are very popular for landscaping and light industrial purposes. Sometimes you see them used for construction and as coverings for camping. 4. Silver – Tarps classified as heavy duty, having a thickness of approximately 0.29 mm, are usually silver in color. Truckers like these kinds of tarps for loads that do not require super heavy-duty material and would benefit from reflecting the sun’s energy rather than absorbing it. 5. Brown/Black – Dark brown and black tarps are considered super heavy-duty; these are approximately 0.41 mm thick and are considered the best of the best, which is why truck drivers prefer them. You cannot go wrong by having a full supply of brown or black truck tarps in your tool box. There are several other types of tarps that are not necessarily graded by color and thickness. For example, a canvas tarp is equally effective for flatbed trucking as a black or brown poly or vinyl tarp. But canvas tends to come in just a single color. When truckers shop for canvas tarps, they look more closely at dimensions of thickness as well as length and width. An RV tarp is another example of one that does not necessarily fit standard grading qualifications. That’s because RV tarps tend to be purpose-made for specific kinds of vehicles. This makes sense given the fact that RV owners want more of a snug fitting cover than a general, one-size-fits-all blue tarp. Tarp manufacturers try to help customers out by sticking with the standard grading system that is emphasized by color. Because of their willingness to do so, it is a lot easier for just about anyone to shop for the tarps they need. As a specialist in truck tarps and other security products, Mytee Products is just one example of a company that carries truck tarps, hay tarps, RV covers, and more. The Ohio-based company only sells tarps that meet or exceed industry standards.